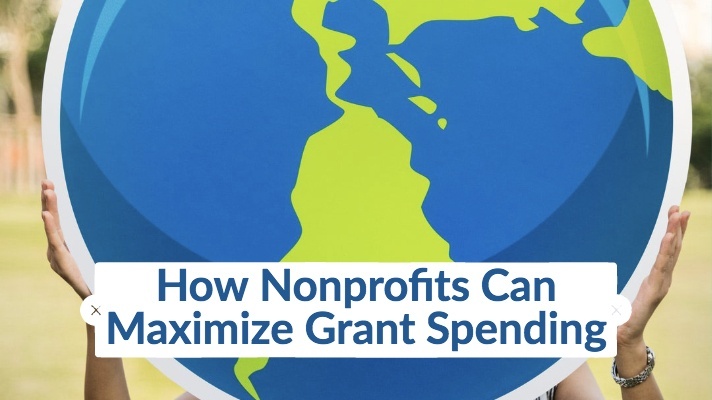 No one can deny that this is a challenge-filled time for any nonprofit organization. Their missions may be in more need of funding than ever while opportunities for funding can be more difficult to win and manage. That’s why we’ve come up with this list of must-do’s for any nonprofit looking to more carefully manage their spend down to the last penny. Track grant funding more intelligently. If you have a team of people responsible for tracking your funding, that’s too many people. While those teams might now have become accustomed to the laborious process required to track grant funding through spreadsheets, they need a better tool for managing budgets, allocating funds, and performing reporting on those actions. Automated grant management software needs fewer bodies to manage it, which means that your staff can move on to higher value tasks. Stop tying your staff down to spreadsheets and move into the world of automation. Use data to get new grants. The idea is simple: your organizations needs grants to survive, so that means you need more grants. But how do you convince grantors that your organization is most deserving? Data is the answer. Using an automated solution for grant management, timesheets, and expense reporting means that there’s a lot of data going into that automated system, data that you could be harvesting to give statistical evidence to your success. Analytics and reporting have come a long way, making it easy to run reports for whatever you need, even if you aren’t technically savvy. Partner with grantors who match your organization’s mission. Creating partnerships with grants can provide a steady source of funding, especially when their mission aligns with yours. The challenge comes in convincing those grantors to renew their grants with you over someone else. That’s where auditing and reporting comes in again. Reports are also essential when it comes to showing where your funding has gone in the past and how you can invest it more wisely in the future. In addition, if you can show that you are in a continual state of improvement, that can be a method of convincing grantors that your organization is deserving of renewal. Continually running reports allows you the opportunity to make changes as you go rather than waiting until a particular source of funding runs out or a specific project is complete. Ensure automated compliance with your organization’s rules. Managing compliance can be a difficult task, especially when you just want to get to work making a real difference in the world without having to go back to make sure that someone isn’t committing fraud or taking advantage of you & your funding. An automate system can do the heavy compliance lifting for you. Just input your organization’s rules into the policy engine and let it automatically do the work of managing expense report & timesheet approvals and denials. At the end, it can also run reports so that you can remain transparent with a clean audit. This frees up resources that would usually be stuck behind their desk late at night running audits and completing approvals/denials to perform higher value tasks like contributing ideas to leadership about how to better manage funding. Learn more about what DATABASICS for Nonprofits™ can do for you.